Happy new years everyone! Last year I posted some of my resolutions for last year (2008) and so I thought that this would be a good time to look at 2008 in review and introduce my 2009 resolutions. This was one of the busiest years as a whole that I can remember. I did an internship at Union College as the Website Assistant, started my 3rd year of college, and topped everything off with learning Objective-C/Cocoa and Ruby on Rails in my free time. I think that I successfully met my “make it happen” resolution this year. 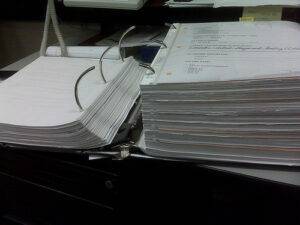 My second resolution last year was usability, specifically in regards to this blog. 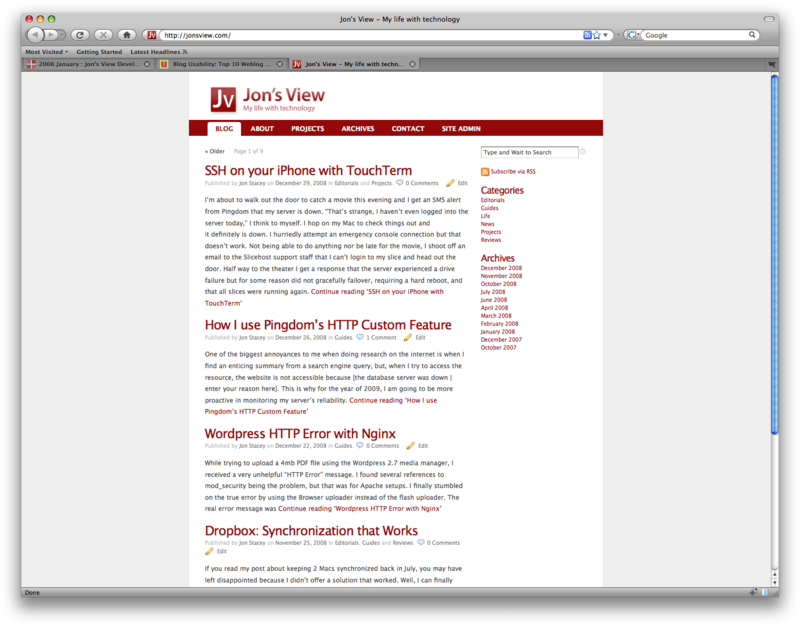 At the beginning of the year, JonsView.com was still running a standard WordPress theme. I don’t think I even had a logo. Things have certainly come a long ways since then. 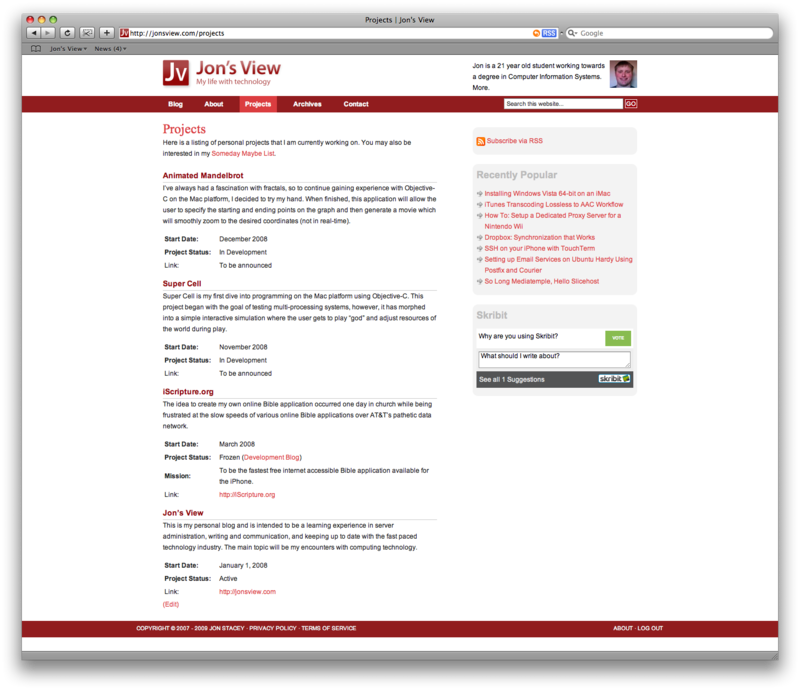 In mid-June I gave JonsView.com an identity and color scheme, choosing my favorite color red. A no-clutter design lets readers focus on the content instead of banners. Comment subscriptions allow readers to be notified when there’s activity on a post they found intriguing. And finally, Skribit was added to allow readers to suggest topics that they would like to hear more about. This year I’m going to try something that all of us have been trying to do unsuccessfully for years … go paperless. Living in a dorm room I don’t have room for a filing cabinet to keep track of receipts, letters, class notes, todo lists, ideas…. As part of this adventure, you can be sure to expect a series of articles on how I’m tackling this problem. Here are a couple of screenshots comparing the 2008 and 2009 themes. Most of the changes took place under the hood resulting in a 50% reduction in loading time.